Cleaning your property is a vital part of daily existence, a practice that provides many rewards – not the least of which are more pleasant surroundings and better health.Who wouldn’t want a property that’s clean and clutter – free and stays that way with minimum effort? You can have that. But achieving it starts with a positive mindset and some basic motivation skills for both you and your family. Master the advice in this blog, and you’ll be you’ll be well on your way. You’ll realise that keeping your home clean is not such a daunting task after all. And that would be something to whistle about. WHY BOTHER WITH CLEANING AT ALL? Yes, let’s test that basic assumption that cleaning is necessary. Could it be that we scour, mop, and vacuum our lives away for no good reason? After all, fad and fashion have pushed upon as such tortures as bustles and spike heels for no practical reason. Maybe you and your home would manage fine with the grunge look if you could just weather a little disapproval from a few family members and friends. So before we totally commit ourselves to a clean mindset, let’s examine the benefits of clean living. If you buy the following arguments, you’ll be ready to approach cleaning from the positive side. You know that brushing your teeth can save you thousands of pounds in dental bills. While the same thinking applies to all the things you own. Dirty stuff wears out faster than clean stuff. Simple preventive practices, including cleaning, can extend the life of everything from appliances to upholstery and, in turn, spare your finances.Moreover, regular cleaning makes for easier, less risky cleaning. Regular cleaning is more gentle to household surfaces. It minimises the need for scrubbing, which causes wear and tear on walls, floors, and furniture. What could save more time than just avoiding the drudgery of cleaning altogether?By keeping on top of dust and clutter, you save time and effort. A spill on your stovetop before dinner and it takes you seconds to clean. Put it off until later and it becomes a dried up mess that requires more time, more effort, and more cleaning products to remove. The house can make you sick. Whether it’s an allergy to the thriving colony of dust mites that reside in your mattress or a case of food poisoning, the risk of illness from exposure to germs in the home is real. An estimated 50 to 80 percent of food-borne illness originates in the warm. People think that they have the 24-hour bug. Well, the truth is there is no such thing. It is usually food-borne or water poisoning.Hot zones around the house that need regular disinfecting include sinks, taps, doorknobs, cutting boards, refrigerator handles, and the toilets. Cleaning makes things look good and makes us feel good. Forget about friends coming around. The main reason that people clean, according to a 2016 survey conducted by the Soap and Detergent Association, is to feel good about themselves.We call it house pride, the house is an extension of oneself, and if it looks good, it’s a good reflection on oneself’s. Motivated to clean now? Don’t start just yet – randomly attacking the house won’t lead to long – term success. Experts agree: you need a regular cleaning routine. With a systematic approach, you assign the basic cleaning duties to a daily, weekly, monthly, or seasonal schedule – a move that will free you from the burdens of domestic chaos. A cleaning schedule saves time, effort, and frustration.Look at it this way. You wouldn’t think of going on holiday without knowing where you’re going and how to get there. So when it comes to planning your house work, think of cleansing as your destination and your cleaning schedule as the route you follow.With housework, the shortest distance between two points – starting and finishing – is a housekeeping schedule. If you’re domestically challenged, a schedule puts necessary tasks in writing so that the dust and clutter do not overwhelm you. If you’re a perfectionist, a schedule will keep you from doing tasks more often than they need to be done.Schedules are so important because housework is never done. But schedules make it feel done. That feeling of accomplishment, or being finished, is vital to housework. Don’t think you’ll have to consult your cleaning schedule everyday for the rest of your life. The good habits you develop from following a schedule will soon become routine. There is no magic formula that works for each and every household. Make a schedule that works for you by following the steps. Decide how much time will be spent cleaning. How many days of the week all you schedule cleaning time? How many hours each day? The number of hours you plan to devote to cleaning (and maintaining) will provide the rough framework for your schedule. For each room or area in your house, make a list of the jobs that need to be done. Include day-to-day jobs, such as picking up, dusting, and vacuuming, as well as once-a-year jobs like cleaning under furniture or appliances. Next to each task write down how often each job needs to be done – daily, weekly, monthly, or seasonally. How often you clean will depend upon the conditions in your house. A bathroom used by several people may need daily cleaning, for instance, while a single person with two bathrooms may only clean once a week. Decide who will be responsible for each job. Decide who will be responsible for each job. Post the schedule in a form you are comfortable with – in poster form or on index cards, for example. Until you memorise your routine, you will probably need to consult the schedule frequently. Here’s an example of whatyour schedule might look like. Daily: Straighten up, do all the dishes, wipe cooker and counter-tops, make beds, hangup clothes, read and dispose of mail, clean up any spots and spills. Weekly: Vacuum carpets, sweep and mop floors, dust furniture, change beds, clean bathrooms, spot-clean handprints, empty all rubbish bins. Monthly: Dust along woodwork, vacuum upholstery and window treatments, wipe kitchen cabinets, clean out refrigerator, clean garage. Seasonally: (twice a year – at the end of summer and winter): wash windows, clean chimney, wash walls, clean oven, defrost freezer, clean light fixtures, clean window blinds. Need a cleaning job done? Contact Alan, he’d love to talk with you about your requirements! Established for over 30 years, we are a highly regarded contract cleaning and rope access business in Edinburgh. 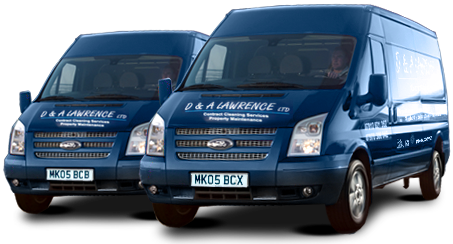 Covering Edinburgh and throughout Central Scotland.